This week I feel like January has finally picked up speed. I have a few extra things on my calendar, and events I once thought were so far away (“Oh, that’s not until March!”) are practically around the corner. 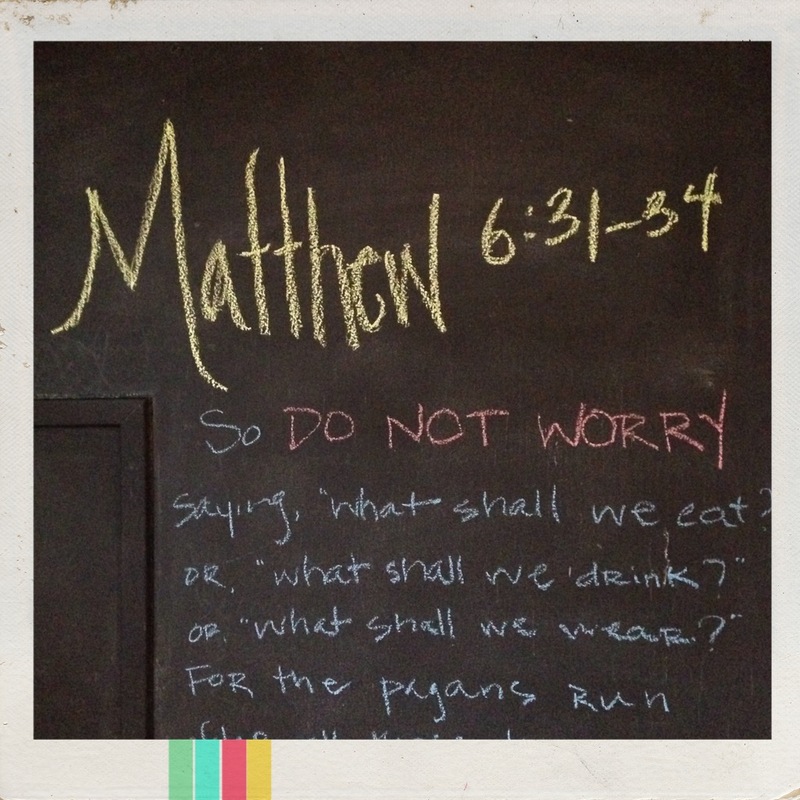 The “do not worry/be anxious” commands from the Bible are interesting to me. Worry is so natural and easy for us, yet we’re told not to do it. Thankfully, we are also given instructions for what to do instead. For worry, it seems our command is, “Do not worry, but seek God.” The passage tells me (implicitly) that if God knows we need something, he will make sure we get it. Worrying will not solve my problem or meet my need. Seeking God’s kingdom and righteousness will lead to greater knowledge of his character, and part of that character is taking care of his children. He loves to meet needs and give good gifts to them in his wisdom and time. As far as food and drink and clothing, I am reminded of one of my favorite verses from Psalms: “I was young and now I am old, yet I have never seen the righteous forsaken or their children begging bread.” There is also Philippians 4:19, “And my God will supply every need of yours according to his riches in glory in Christ Jesus.” So instead of worrying I should look to God’s Word, trust his character, and keep taking those next right steps. He will make sure my physical needs are met, but more importantly his Spirit will give me peace in my mind and heart. It’s my prayer that memorizing and meditating on this verse will lead to a week of less worry and more trust. Do you have a favorite verse, quote, or technique that helps you to worry less?